In 1841 this farm was well situated with its fields occupying central positions and with access to the creek. The land amounted to 79 acres, 2 rods and 33 perches, broken down to 57 acres, 2 rods and 11 perches devoted to arable farming; 17 acres , 3 rods and 30 perches of grassland; leaving 3 acres, 2 rods and 33 perches for other uses. These include saltings, a coal yard, wharf, kiln, cottages and the homestead. My guess is that it covered an area bounded in the south by the creek, in the north by Essex Way, by School Lane in the west and by Mill Hill in the east. A Daniel Nash was the owner of all the above and William and Stephen Cross were the tenants, who farmed the land.. 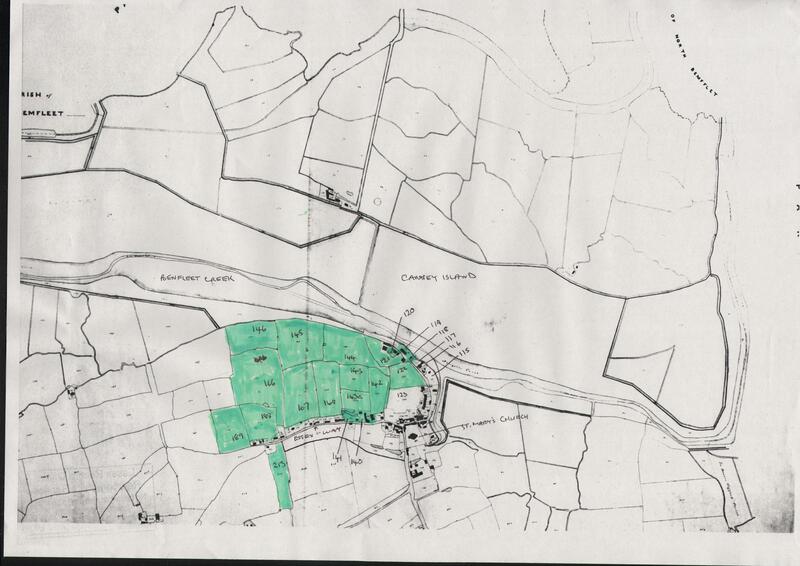 Remember that the Benfleet Tithe map is “upside” down with the creek and Canvey at the top of the map. Also, that you can enlarge the map by clicking on the image.